Things have been busy since Peter and joined in with 'Artists Open House', an event that is part of Dulwich festival. 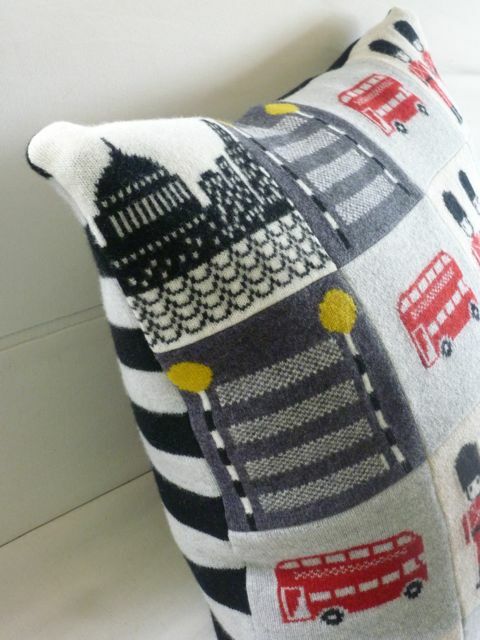 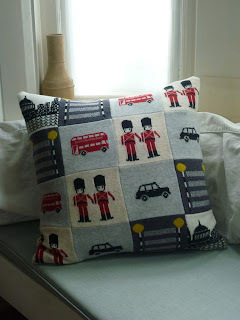 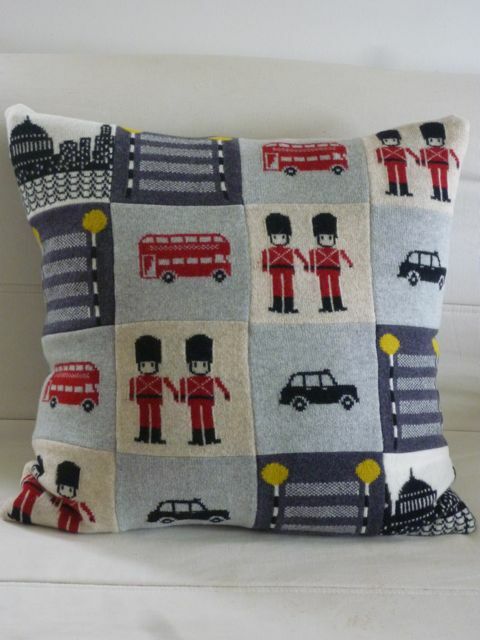 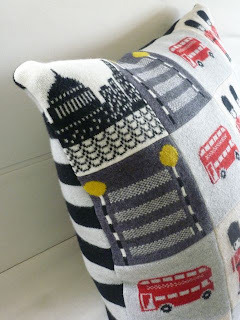 Beth came to our house and liked my London bus cushions but wanted a BIG london cushion to send to her sister in Australia - so I came up with this big London patchwork to fit a 24" cushion. 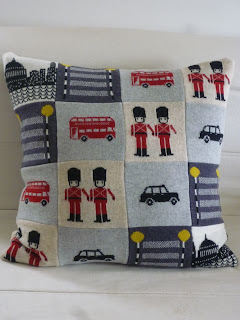 Picture dominoes!